The Canadian economy shed a surprising 88,000 jobs in January, with the losses concentrated in part-time work, Statistics Canada reports. 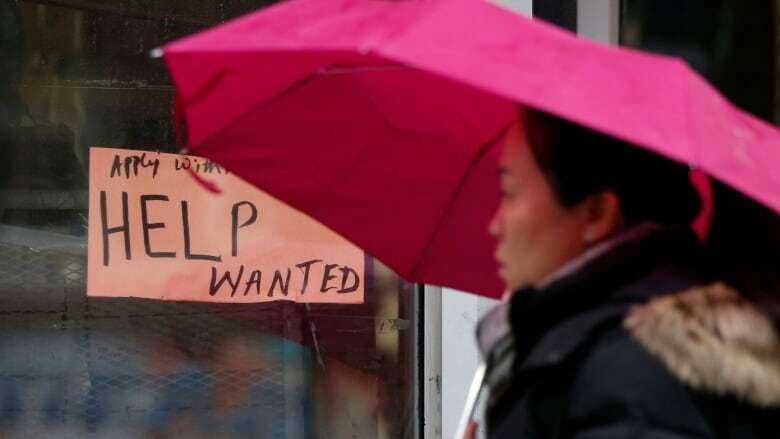 The Canadian economy shed a surprising 88,000 jobs in January, with the losses concentrated in part-time work, Statistics Canada reported Friday. The drop in employment — the biggest one-month slide in nine years — pushed the national jobless rate up by 0.1 percentage points to 5.9 per cent. It's a marked difference from November and December, when a total of 145,000 jobs were added. In January, Statistics Canada said part-time employment declined by 137,000. Meanwhile, full-time employment grew by 49,000. The weak employment report for last month was worse than economists had been expecting. The market consensus was for a loss of roughly 9,000 jobs. "Overall, a mysterious mix of good and bad, with the latter's impact blunted by how strong job gains were in the lead-up to these figures," CIBC chief economist Avery Shenfeld wrote in a commentary. "January saw an [88,000] drop in employment, reversing about half of the spectacular gains we registered late last year. But the details also looking wonky, with all of the job losses in part-time work," Shenfeld said. Frances Donald, senior economist with Manulife Asset Management, wrote in a tweet that Alberta accounted for over half of the net gains in full-time work. Statistics Canada said the largest employment declines were in Ontario and Quebec. There were also decreases in New Brunswick and Manitoba. In Ontario, which increased its minimum wage in January, employment fell during the month, due to losses in part-time work. The unemployment rate in the province was little changed at 5.5 per cent as fewer people participated in the job market. "The concentration of the job loss in Ontario and the focus upon lost part-time jobs in that province will no doubt feed debate on whether large minimum wage hikes took a toll on employment, but proving causality may remain contentious," Derek Holt, Scotiabank's head of capital markets economics, said in a commentary. "It's possible the [Bank of Canada] dismisses most of this report as a transitory adjustment to higher minimum wages," he said. Finance, insurance, real estate, rental and leasing. Construction, as well as health care and social assistance. Conversely, employment grew in the sector designated by Statistics Canada as business, building, and other support services. In the wake of the release of the January jobs report, the Canadian dollar traded lower, dipping by 0.07 of a cent at 79.23 cents US, as economists suggested the employment loss might remove some pressure for the Bank of Canada to boost interest rates. BMO Financial Group chief economist Doug Porter said the January figure brings the job market "back down to Earth." He said it reinforces the view that the Bank of Canada will proceed "ultra-cautiously" through the rest of 2018. "Even prior to this week's financial market gyrations and this weak jobs data, we were of the view that the [Bank of Canada] would wait until the second half of the year before hiking [interest rates] again — these developments only embolden that view," Porter wrote in a commentary. "At the very least, we can dismiss any chance the bank hikes in March, and April is now looking more like a long shot as well," he said.